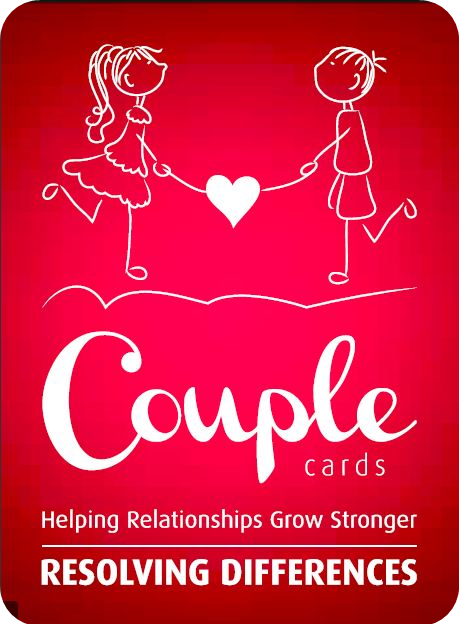 CoupleCards is an innovative idea which we believe will make a difference to society. The objective is to help couples develop the necessary skills to communicate, connect and strengthen their relationship. The first edition of CoupleCards is focused on Resolving Differences …..
Each card helps the couple express an emotion and includes hints to enable the couple discuss and understand their particular situation. Once a couple understands the concept they will develop way of how to use the cards …. The focus remains strengthen the relationship.